The Frontline! Community Project - 1.2 IS LIVE! Discussion in 'Team Fortress 2 Talk' started by Crash, Jul 14, 2016. Attention Troops, Welcome to the Frontline! Please visit our website and give our video a watch to learn more. Our platoon has been marching hard since late 2015 in order to bring this project to fruition and now finally we can proudly present to you what we have been working on. With over 1400 assets (including skins and variations), our Asset Pack is the largest made for the community so far. Which you can view by clicking here! We will be regularly adding expansions to the asset pack so that there's plenty for the Mapping and SFM community to sink their teeth into. This war has only just started and we want YOU on the Frontline with us! 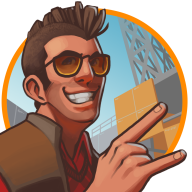 We are inviting the TF2 community to get involved and make Cosmetics, Particle Effects, Taunts, Maps, Weapons, Artwork or whatever you'd like to aid our war effort. Q. What is all this, and is it official? A. Frontline! is a community-created project by members of the Team Fortress 2 community, for the Team Fortress 2 community - its goal is to rally the troops and bring any and all types of content contributors together and bring forth a new community update, with themes revolving around 20th century wars. As of this posting, Frontline! is not an official update for Team Fortress 2, but with the help of the community - it could be! Q. What can I submit to the project? A. Ultimately, Valve decides what is added to their game, so who are we to judge? That being said, if you can upload it to the Steam Workshop, we can add it to our Collection. That includes cosmetic items, weapons, taunts, unusual effects, and maps. We fully understand how much time it takes for some of those, but we fully encourage you to pursue whatever you'd like! Q. What can't I submit to the project? A. Despite the wartime theming, we highly discourage any content based on or influenced by racist or xenophobic imagery. Have some respect, and use your best judgment - any submissions that have these problems will be excluded from the collection and distanced from the project. 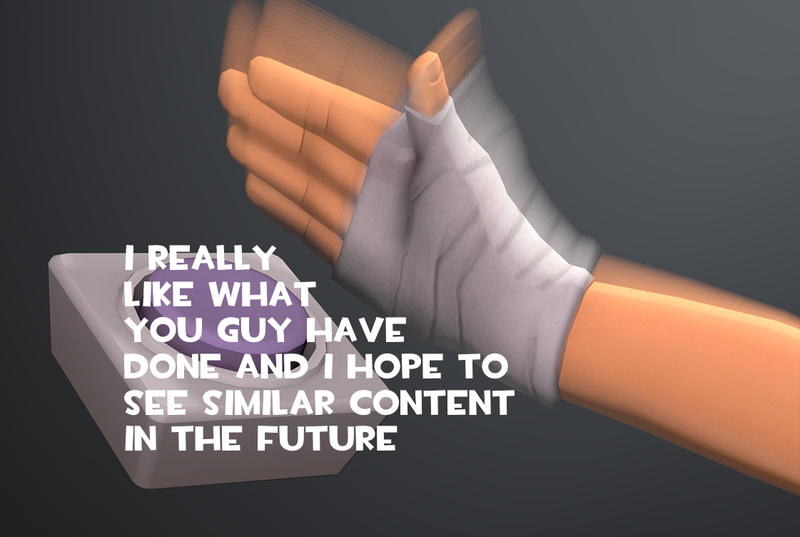 If in doubt, refer to Valve's own guidelines for TF2 Content Creation. Q. If I submit my work, how will it be determined whether or not it will be included in the game? A. While, we are the ones that add your submission to the Workshop Collection, we do not choose what items are added in-game, if any! That decision is to be made by Valve, and Valve alone. Because of this, Frontline! is an equal-opportunity effort, and will stay as such, no matter what! Q. I'm new to content creation, but I want to take part! How can I learn? A. There are plenty of resources for beginners out there, and we welcome and encourage any new talent! A handy collection of resources can be found here, and if you have any other content creation questions, you can always ask around the community - for the most part, we don't bite! Q. 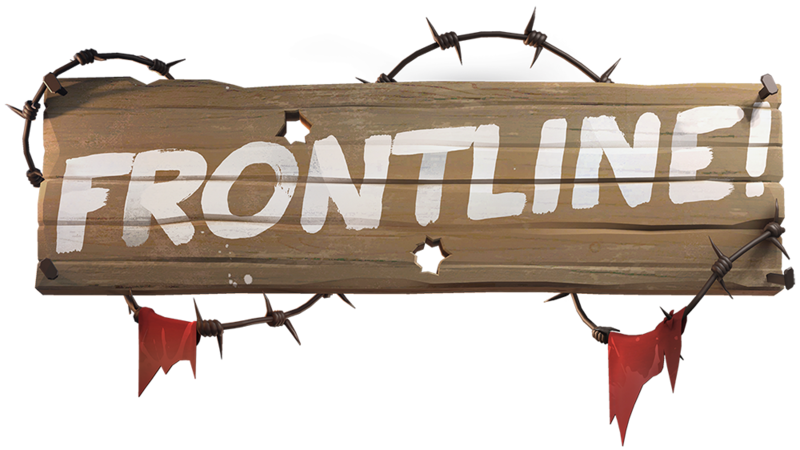 How long has Frontline! been in development? A. The earliest work is from January 2015, with strong proper work starting in the following September, and we've been hard at work ever since! Though it's been a long process, and several iterations of various assets have gone by, our intentions have always been the same - to make a community update for the community, by the community, that is open to everyone. Q. Can I submit work that I've made prior to the announcement of this project? A. Of course! We are accepting of any and all submissions, though we do encourage you to make new and exciting content that fits the ideas of the project, even if it's a remake of existing work! And for the mappers, we also encourage re-artpassing past maps using our asset pack to better fit the theme, If they wish to do so! Q. Is there a deadline for when I have to submit my work by? A. As of this posting, there is no deadline! A solid and true deadline will not be declared unless Valve themselves do so - by all means, take your time! Q. Can I participate in Frontline! alongside the other active community projects? A. Of course, it's not a matter of one or the other! We are well aware of the other active projects in the community, and welcome them fully! From our perspective, it's a matter of co-existence, not competition. If you have any further questions, please do not hesitate to ask. Here's the list of credits for future use! Balancing the tone of 20th century warfare and tf2 could be.... interesting. Signatures are an outdated concept that hold no bearing to forum conversations, but are given to people anyways to make them feel special and unique when in reality, they are special and unique, no matter if they have a signature or not. Wow, this looks cool! Can't wait to see the WWII maps that come out of this. Just took a look at the assest, and some of them are seriously incredible. Tank payload carts that shoot? supply drop prefabs? Underwater mines? Hell yes x10. Oh man,there's a ton of projects around here. Le HYPE. Also NOW I know why Crash has that militart helmet... it all makes senses now... does it? I smashed that mf button as soon as I saw this post. Can we get hp/ammo reskins that parachute back into their place after being picked up? We dont speak of the german part of world wars, they just kinda.. dont exist?